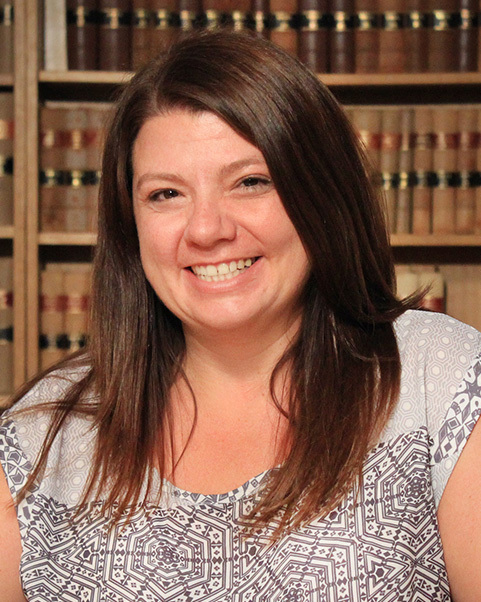 Camille Goodman has worked at the Office of International Law in the Attorney-General’s Department since 2005, providing advice to Government on a wide range of public international law issues, with a particular focus on maritime law and international fisheries law. She has provided advice on the development and implementation of a variety of international fisheries agreements, including as the legal adviser to the Australian delegation at the negotiations to establish both the South Pacific Regional Fisheries Management Organisation and the FAO Agreement on Port State Measures to Prevent, Deter and Eliminate Illegal, Unreported and Unregulated Fishing. Camille has also worked as an out-posted as a legal adviser in the International Fisheries team at the Department of Agriculture, during which time she acted as the Assistant to the Chair in the development of the Agreement on Strengthening Implementation of the Niue Treaty on Cooperation in Fisheries Surveillance and Law Enforcement in the South Pacific Region, and was closely involved in the development of a compliance monitoring scheme for the Western and Central Pacific Fisheries Commission. Camille commenced her PhD research in the Australian National University College of Law in February 2015, with the support of the Sir Roland Wilson Foundation. 'The Cooperative use of Coastal State Jurisdiction with respect to Highly Migratory Stocks: insights from the Western and Central Pacific Region' in Lawrence Martin, Constantinos Salonidis, Christina Hioureas (eds), Natural Resources and the Law of the Sea: Exploration, Allocation, Exploitation of Natural Resources in Areas under National Jurisdiction and Beyond (Juris, 2017), pp 215-236. 'Australian Jurisdiction and International Law' (co-authored with Donald R Rothwell) in Donald R Rothwell and Emily Crawford (eds), International Law in Australia (3rd ed, Thomson Reuters, 2016) pp 71 to 86. ‘Strength through cooperation: a 21st century treaty for multilateral maritime enforcement in the Pacific’ Australian Yearbook of International Law (2014), Vol 31, pp 11 to 39. ‘Litigation against foreign States: the Foreign States Immunities Act 1985 (Cth)’ Judicial Officers’ Bulletin, (2009), Vol 21(9), 71 (co-authored with Bill Campbell PSM QC). Book Review, ‘International Law Issues in the South Pacific’ (Leane and von Tigerstrom (Eds), Ashgate, 2005), Australian Yearbook of International Law (2007), Vol 26, pp 227 to 230. The possible interactions between treaty and custom are generally considered by reference to the well-established framework set out by the International Court of Justice in the North Sea Continental Shelf Cases of 1969; namely, the declaratory, crystallising and generating effects of a treaty (as for a resolution) on a customary rule. ‘Strength through cooperation: a 21st century treaty for multilateral maritime enforcement in the Pacific’ (2014) 31 Australian Yearbook of International Law 11-39. ‘Litigation against foreign States: the Foreign States Immunities Act 1985 (Cth)’ (2009) 21(9) Judicial Officers’ Bulletin 71 (co-authored with Bill Campbell PSM QC). ‘Law of the Sea and the marine environment: from lex lata to lex ferenda: thinking outside the international legal box’, ANU Centre for International and Public Law seminar series, 17 March 2015 (co-presented with Dr Greg French). ‘Giving effect to the duty to cooperate: new international fisheries agreements’, ANU Centre for International and Public Law seminar series, 17 September 2010. ‘Using Port State controls to combat IUU fishing: the Port State Measures Agreement and the EC IUU Fishing Regulation’, ‘Fish, Forests and Filthy Lucre’ Environmental Crime Conference, University of Wollongong, 22 – 23 February 2010. ‘Multilateral approaches to governing international fisheries: compromise we can believe in?’ Australia and New Zealand Society of International Law Conference, Wellington, New Zealand, 2009. ‘Port State Measures – a new treaty to combat illegal fishing’ Maritime Lawyers Association of Australia and New Zealand conference, Fremantle, 2008. ‘Issues in transnational crime in the South Pacific’ Australia and New Zealand Society of International Law conference, Wellington, 2006 (co-authored with Ms Victoria Bickford). The 'creeping' jurisdiction of coastal States; a legitimate way to fill gaps in the law of the sea, or an unwarranted expansion of power? Finding a legitimate basis to enact, apply, and enforce legislation is crucial for any State wishing to regulate activity at sea – whether in relation to border protection, crimes at sea, oil and gas production, fisheries, workplace relations or pollution. Since international law only assigns coastal States limited powers over specific activities and resources at sea, States have found creative ways to justify the exercise of a much broader range of powers and expand the reach of their authority. However, since this ‘creeping’ jurisdiction has evolved through incremental practice, there has been no comprehensive cross-sectoral analysis of such regulation. This research will address this gap, analysing the exercise of coastal State powers in the context of the rules-based international order to ascertain the legitimate bases for and extent of coastal State jurisdiction in contemporary international law.